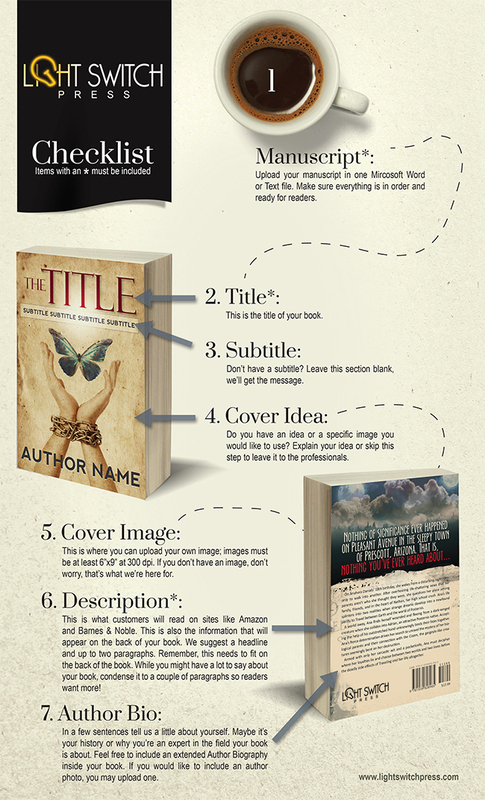 With our free publishing incentive, your book can be ready in as little as seven days! Whether you’ve decided to publish your book as a paperback, e-book, or wanted to give your book the most exposure by selecting both options; when you sell 100 books in your first month, we’ll refund your publishing fee. It’s as easy as that. And don’t worry, even if you don’t hit that benchmark, you still saved a bunch of money by publishing with Light Switch Press. The hardest part: letting your baby go! Don’t worry; you own the rights to your book. Sit back, relax, and let our design team work their magic. 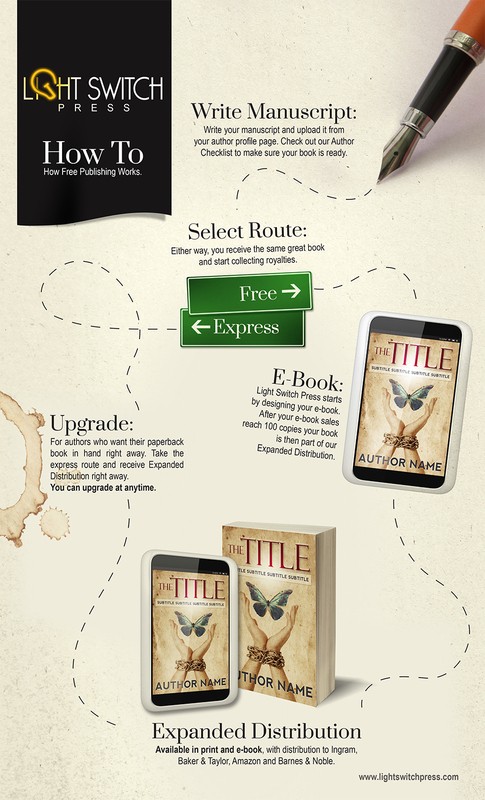 Sell your e-book and paperback book on popular sites like Amazon and Barnes & Noble. Sell 100 copies of your book on popular sites like Amazon and Barnes & Noble. Motivated authors receive a full refund for their hardwork! With the money you’ve saved with our free publishing services, you might consider a professional edit or some cost-effective ways to market and promote your book. Visit our Services page and see what works for you.